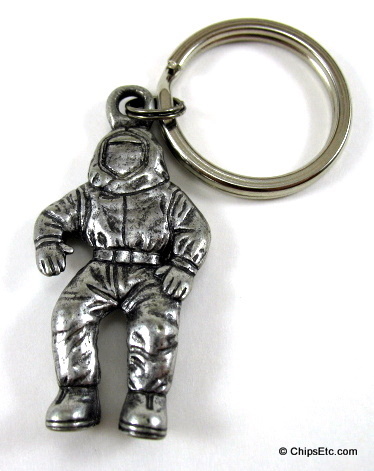 Solid pewter keychain features an Intel BunnyPeople character figure and is stamped with the Intel logo on the back. Figurine measures 1-3/4" x 7/8" and is 1/8" thick. 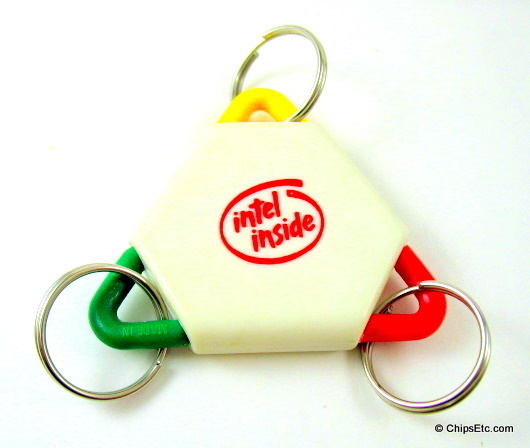 This is a 3 loop keychain that is multi-colored and has the Intel Inside swirl logo in red. 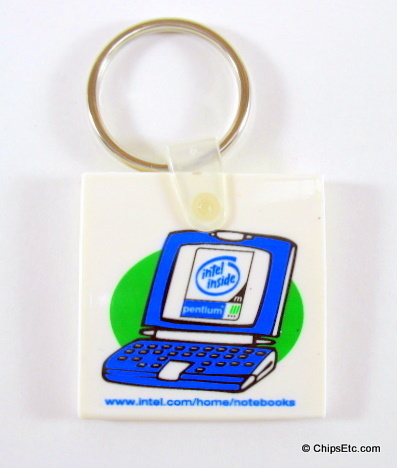 Flexible keychain says Intel Inside Pentium III and has a black backing. 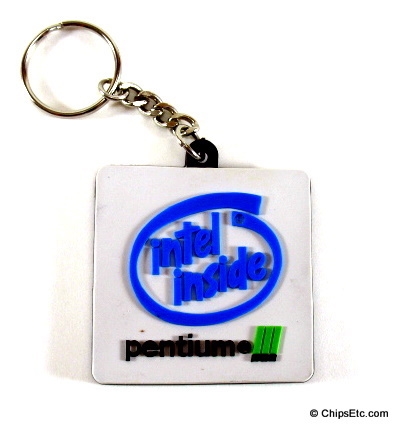 Flexible rubber keychain has a picture of a laptop computer and on the screen it says "Intel Inside Pentium III". Below the image of the notebook computer is the now defunct URL (www.intel.com/notebooks) for Intel's notebook microprocessor sales during the 1990's. 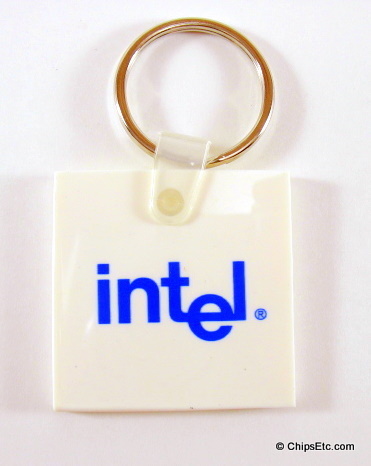 The other side of this key chain is also white and has the Intel logo in blue. The Pentium III was Intel's 32-bit x86 processor for desktop and mobile computers, it was based on the 6th generation P6 micro-architecture. 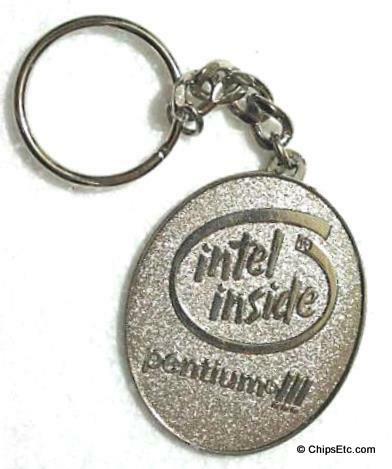 Steel keychain embossed with the Intel Pentium III logo. 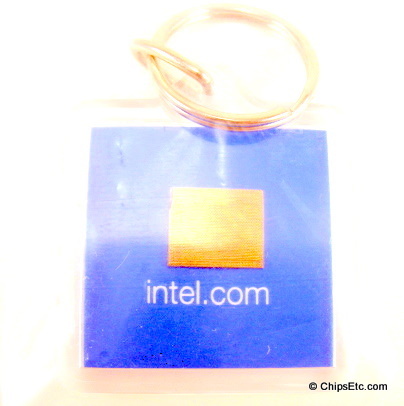 This clear acrylic keychain features the Intel logo on one side and an actual Intel Pentium III Processor chip on the other. 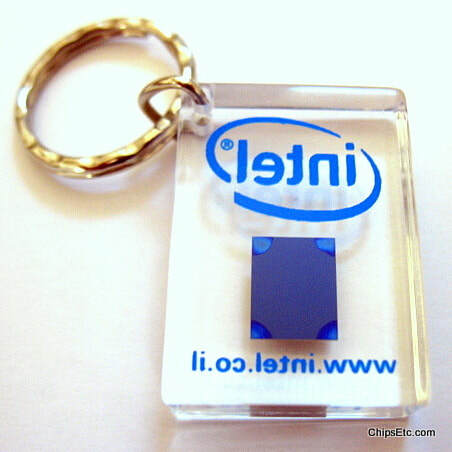 This clear acrylic keychain features the Intel logo on one side and an actual Intel Processor chip on the other. The Pentium 4 was produced from 2000 to 2008 with clock speeds of 1.3 GHz to eventually 3.8 GHz. 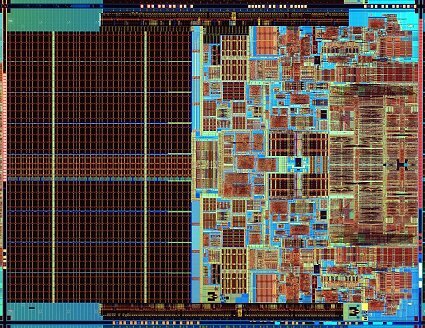 Debut of Intel's "Netburst Micro-architecture" - the first new architecture change for Intel since 1985. 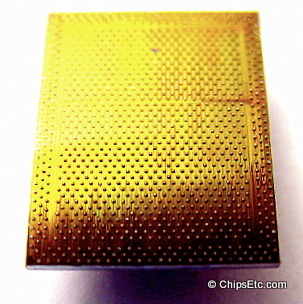 Code-names for versions of this chip were Willamette, Northwood, Prescott & Cedar Mill. New & unused in original packaging. 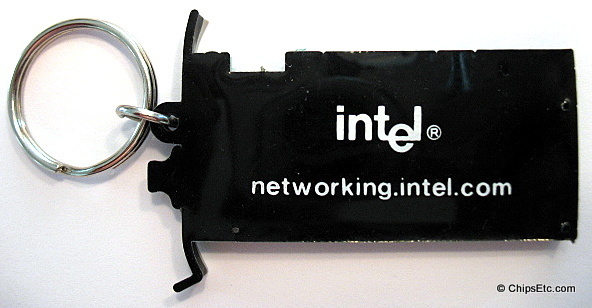 Soft rubber keychain promoting Intel's Ethernet PC card. 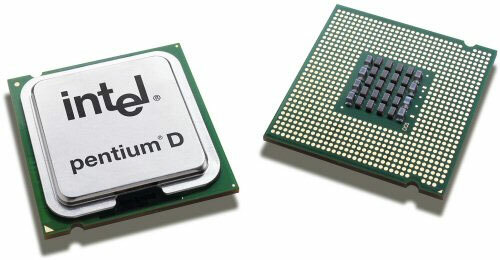 The Pentium D was Intel's first desktop dual-core 64-bit x86 Microprocessor with Netburst Architecture. 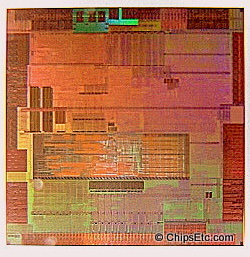 This Microprocessor had two single core 130nm Pentium 4 CPU's residing next to each other on a multi-chip package. The Pentium D and The Pentium 4 Processors were both phased out by Intel in 2008 and replaced by the new Core Duo/Quad/Extreme processor lineups that were true dual-core CPU's manufactured on a single die instead of the Pentium D's two separate dies. 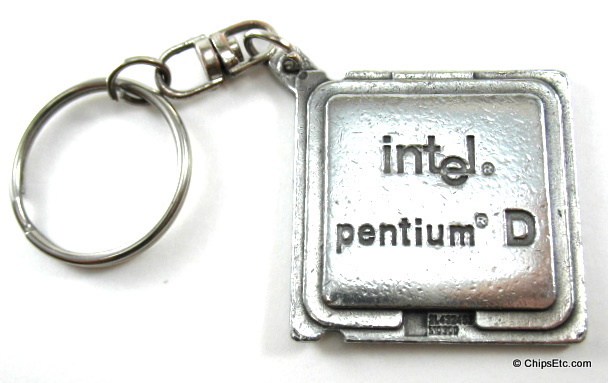 Polished solid steel keychain resembles an Intel Pentium D Processor on both sides. 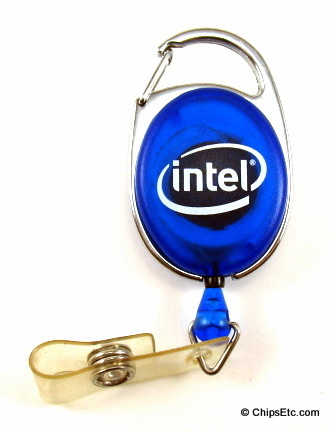 Intel retractable badge pull has chrome plated latch and blue plastic cover with the Intel logo. 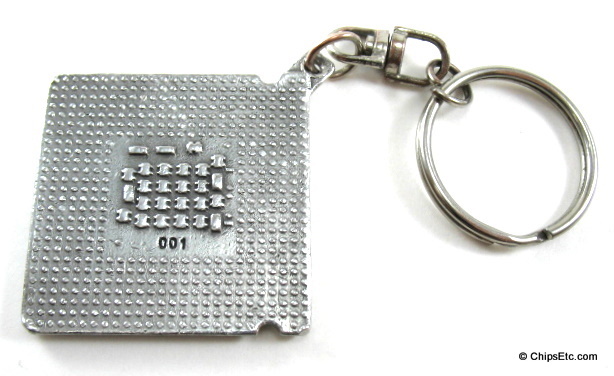 Stainless steel key fob features a real Intel Core 2 (45nm) chip mounted on the front. Unique metal wire loop makes it easy to change out keys. 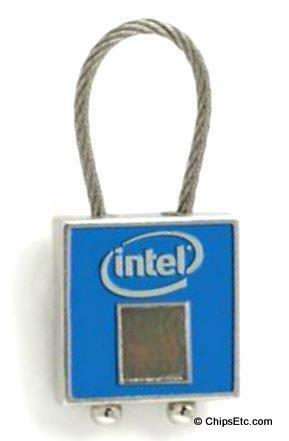 Steel with blue enamel and has the Intel logo in raised lettering. Comes new and unused in sealed bag. Summer/Fall 2008 Intel store catalog item #701219. 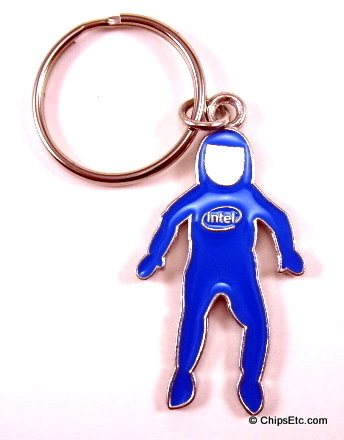 2" tall Custom-molded enamel & steel Intel BunnyPerson charm filled in with Intel blue. Summer/Fall 2008 Intelstore catalog item #701187. 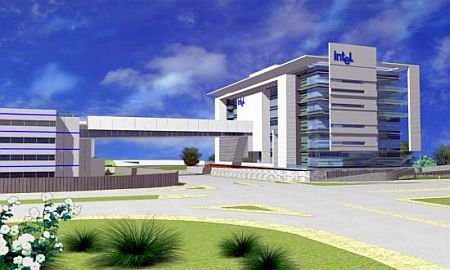 Intel chose Israel as the location for its first design and development center outside the US in 1974. Intel’s first facility for the manufacture of microprocessors and memory outside the US was also located in Israel, built in 1981. Today Intel has centers in eight locations throughout Israel. Intel had 5 employees in 1974. Today, Intel has over 5800 employees in Israel. 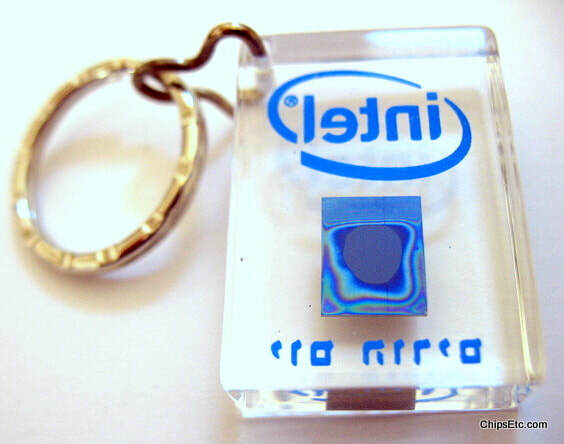 Today all Intel’s X86 chips are produced in and exported from Israel. Intel in Israel today has eight locations. This dispersion has been as a result of Intel wishing to be at the power centers of Israel’s “silicon wadi” for development purposes, and to be in the regional areas that have been dedicated as “National Priority Zones” by the Israeli government, for production. This has had a great social-economic impact in these outlying areas. 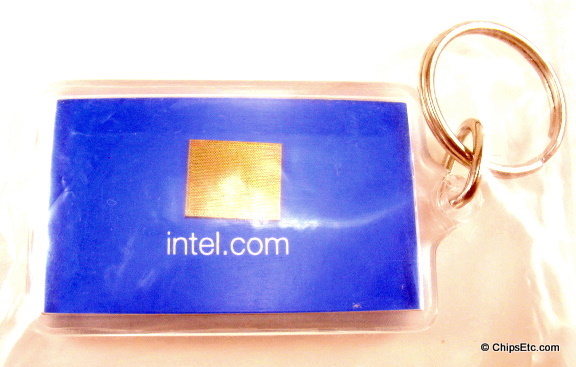 Clear Lucite keychain with an Intel CPU embedded inside and the web URL for the Intel Israel website at www.intel.co.il. Haifa: Home of Intel since 1974 – A mulch-disciplinary development center for software and hardware. The Israel sales office for Intel products also includes Intel Semiconductors Ltd. The center was established with a total investment of $300,000 and initially employed five workers. Today the plant provides employment for 1,600 people. Kiryat Gat: Large manufacturing plant which manufactures one of the world’s most advanced computer chips. 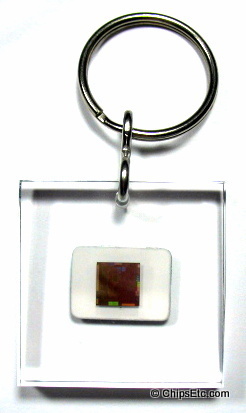 It is manufactured using state-of-the-art technology that constitutes the basis of advanced computers. The plant was established with a total investment of $1.8 billion, $600 million of which was invested by the Government of Israel, under the Encouragement of Capital Investments Law, and over $1 billion by Intel. This is the largest investment ever made in Israel by a private company. The fab employs 3,700 Israelis. 1,500 subcontractors are employed to support the extensive infrastructure. Jerusalem: manufacturing plant that employs 800 workers. Haifa Israel Located on Israel's Mediterranean coast, Haifa is home to Intel's Israel Development Center (IDC), as well as a sales and marketing support office. IDC was established in 1974 as Intel's first development center outside the United States. Multi-disciplinary teams at this center develop very large-scale integration (VLSI) components, VLSI CAD tools and software technologies. The pioneering 8088 processor, Intel® math coprocessors, the i860® XP processor, Ethernet communication chips, and cache and memory controllers are a few of the more than 50 products designed in IDC. IDC led the invention and development of the Intel® Pentium® processor with MMX™ technology, launched by Intel in early 1997, the Intel® Centrino™ Mobile Technology, launched in early 2003, and now develops Intel's future mobile microprocessors. The IDC networking group develops advanced networking components enabling Intel and third parties to develop the most advanced PC connectivity solutions for LAN and broadband access. The CAD tool group develops logic and performance verification tools and more for Intel's chip designers, providing software tools for programming the most highly advanced processors. The software group develops software technologies and products. The Haifa location is also home to one of Intel's sales and marketing offices for Israel. This office works with local PC manufacturers, distribution partners and the software industry, and is part of the Europe, Middle East and Africa Sales and Marketing organization. 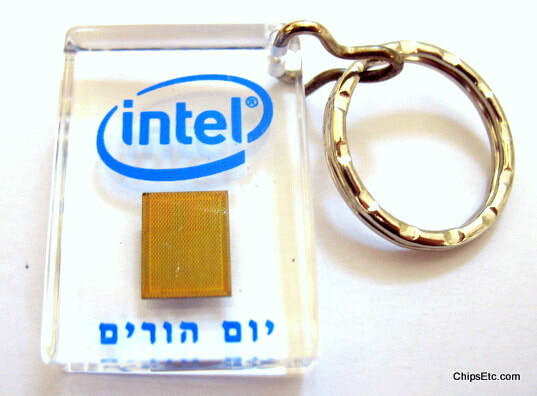 These Lucite keychain's were given away as gifts on "parent's day" at Intel's Israel design center. 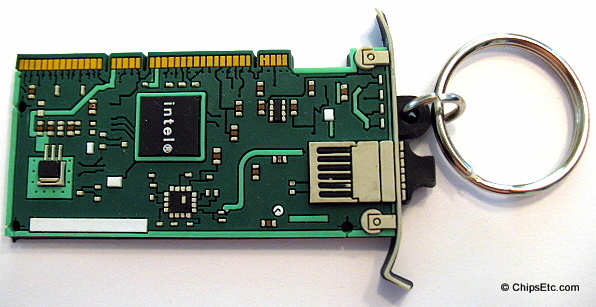 Keychain features an actual Intel processor chip embedded inside. 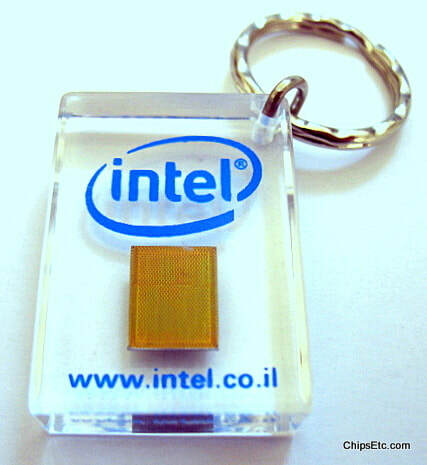 ​Keychain has the Intel logo and reads " יום הורים " which is Hebrew for "parent's day". 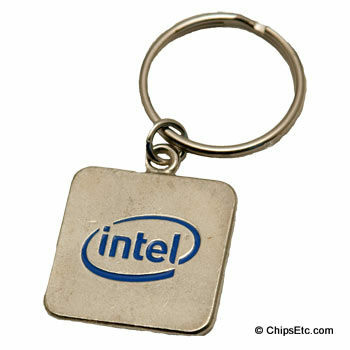 Steel keychain with the newest Intel logo in blue enamel. 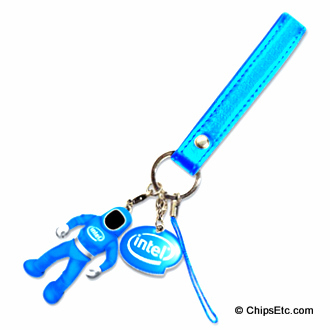 This Intel promotional carrying strap for smartphones contains dangling charms featuring an Intel BunnyPerson character and an Intel logo fob with blue hand strap. 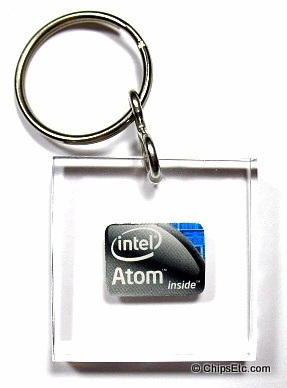 This Intel promotional keychain features an Intel Atom processor embedded in Lucite. 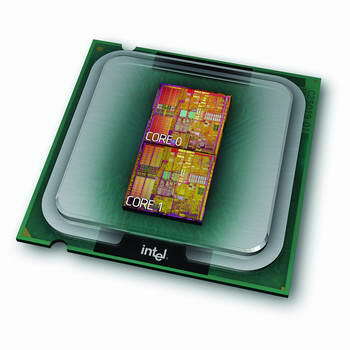 The Intel ATOM Processor was an ultra-low-voltage CPU originally introduced in 2008. 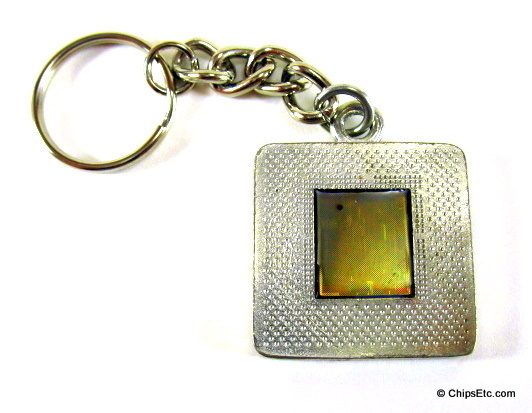 This paperweight features an actual ATOM 32-bit "Lincroft" 2nd generation ATOM chip which was manufactured using Intel's 45nm CMOS process and ran at 400 MHz requiring only 1.3 to 3 Watts of operating power. It featured on-die GPU graphics as well as Intel hyper-threading. 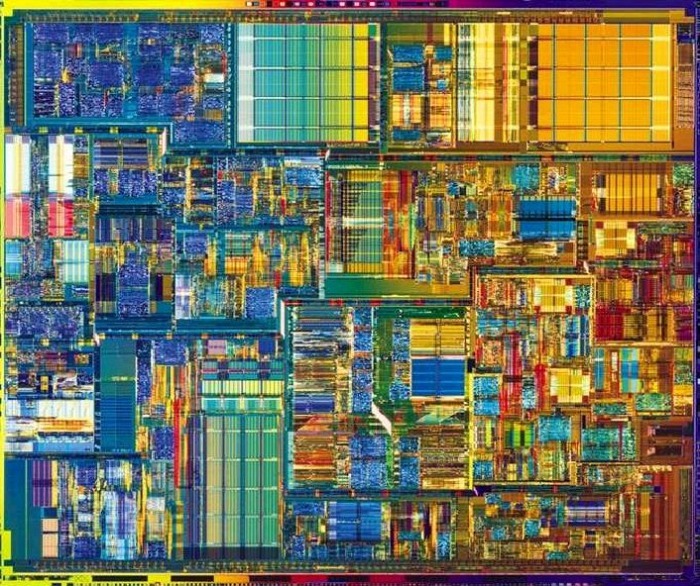 Intel's Atom Processor was designed for use in low-power handheld mobile internet devices (UMPCs), GPS receivers, portable game players, ultra-mobile PCs, mobile Internet devices (MIDs), low-cost notebooks and desktops, smartphones, netbooks, and embedded applications including health care devices and robotics.